Everyone likes to feel safe and secure at home and in their neighborhood, protecting your family and your property isn’t easy and there’s plenty of tips and tricks you can use to protect yourself and your family from neighborhood nuisances like break-ins, burglary and other crimes. Here’s 8 tips you can use to help reduce your risks. What you should do is inform your neighbors that keeping garage doors closed is one important step to keeping intruders out. Form a neighborhood check system where residents keep an eye out for each other’s garage doors and if they find out somebody has left their garage door open they should inform them and get it closed right away. You’d hate to leave your garage door open while you’re away for the weekend. A security door is an extra layer between you and somebody at your door. Having that extra layer between you and the person at your door might sound extreme but if that person had intended to charge into the house and commit a burglary you’ll find this option to be worth it. Particularly useful in high risk areas or to help protect the elderly or the infirm. The Neighborhood will be better off if all the residents in the community are on the same page when it comes to the risks they face from intruders and what they can do to protect themselves and importantly each other from any criminal activity. Keeping each other informed and looking out for risks will go a long way. Watch out for your elderly residents and make sure everyone has an eye out for suspicious activity. Be aware of windows and doors left open and try to make your neighborhood security a concern for everyone. If you’re in a high risk area it is more than likely worth the community having a security service provide guard patrols during high risk times and at high risk areas. Having professionals on the ground will be an excellent weapon against theft and burglary. Security services can also provide other areas of security for your community. Depending on the type of neighborhood you reside in some remote security options could be beneficial. One important aspect to keeping and feeling safe is to ensure the area is well lit. If you have street lights out or broken you need to contact your local agency responsible. Ensure that entrances to your house or property are well lit when you’re out of town or on vacation as this can deter break ins. Having a sense of community is important to protecting each other, get to know the people who live near you and around you. Talk about security at your community meetings when you can and raise awareness of the risks you face in your area. If you are able to you should talk to the police department and ask for advice or any particular areas of focus for theft of burglary right now. They might not always be able to tell you everything about crimes in the area but knowing what kind of crimes are threatening the area is a good place to start in mitigating the risks. The reason to do this is if you can’t see inside the house potential thieves can’t see your property worth stealing. While you’re asleep a burglar can look into your rooms through your windows and see your big flat screen TV or your expensive computer system. This makes you a target because the thieves know you have desirable items in your house and they know where to go to get them. 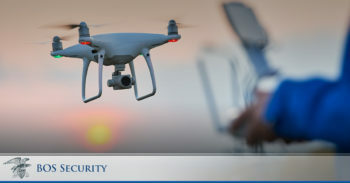 Click here to contact us if you have any further questions or would like to undertake an obligation free Security Assessment to see if we can help you and your neighborhood security.